Unlike many humans, seals don’t have a permanent home where they carry out a daily routine and venture from all year round. Cornwall Seal Group Reasearch Trust’s (CSGRT’s) photo ID research seems to suggest that most seals have more than one place in which they carry out their essential activities and some of these places can be a hundred miles or more apart. A seal’s daily routine probably revolves around feeding and resting, during which time digestion occurs. Oxygen is an essential ingredient in a healthy and effective digestive system. When seals are diving for food, oxygen is in short supply, so seals must return to an oxygen rich environment at or above the surface in order to effectively extract the essential energy and nutrients their food provides. 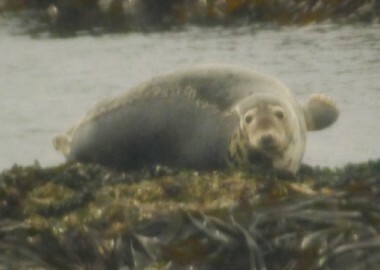 In many cases, seals appear to do this when they are hauled out on rocks or coves resting. 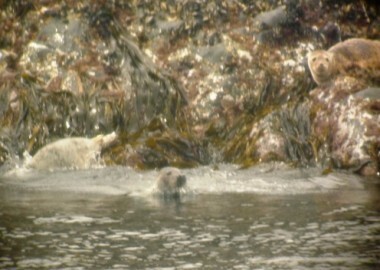 Of course, us humans get our best views of seals whilst they are doing this around our coast. Seals are most confident when they are in the sea, where they are fast, agile and more in control of any encounter they have with us humans. They are also incredibly intelligent and curious, but safety is always their top priority. 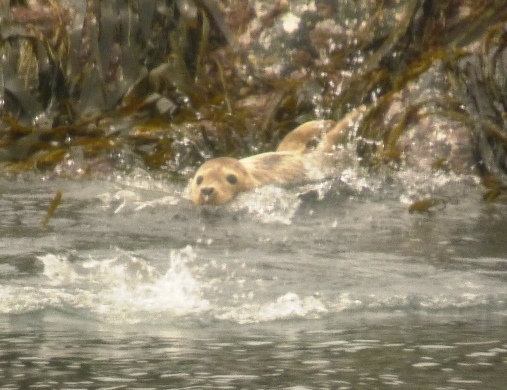 So, if in doubt, seals will return to the safety of the sea from where their curiosity knows little bounds and where we enjoy some of our closest encounters. However, our close observation of the seals as they return to the sea can reveal how they are really feeling and how they are reacting to you. A purely curious seal will move slowly and carefully over rock ledges and slip gently into the sea, whilst seals hurriedly rushing over the rocks and splashing as they enter the sea, suggests that there is a degree of anxiety associated with their behaviour. Once they feel secure and safe in the water, they will make a closer approach to whatever has encouraged them to leave their resting position. Those of us with our own curious natures will ask ourselves, would the seals have entered the sea if we hadn’t been there? The most likely answer is ‘no’! The reason the seals left the rocks in the first place is often irrelevant…as irrespective of the reason, the effect on the seals is the same…the seals rest and associated digestive routine has been disrupted and they have been disturbed. Several haul out sites in Cornwall are protected by ‘Special Site of Scientific Interest’ legislation. At these sites it is a criminal offence to disturb seals and subject to heavy penalty fines. 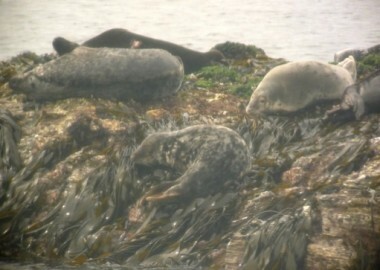 Obviously, an occasional flush into the sea seems unlikely to have any great effect on a seal’s resting routine, but CSGRT’s photo ID work has shown that disturbed seals rarely re-haul back out, but disappear into the sea, apparently leaving the vicinity of the rocks upon which they were hauled. Obviously, there are exceptions to this, as shown below…DP443 was the only one of eight seals flushed into the sea from the offshore haul out on 27th June by a passing motor cruiser, who was known to re-haul out. With ever increasing levels of leisure activity around our coasts, the occasional flushing is turning into repeated events. In July 2005, the maximum number of seal flushing events at the West Cornwall site was one every eight and a half minutes. By 2010, this had risen to one every seven and a half minutes and in 2012, the level had risen to one incident every seven minutes. A continuation of this trend cannot benefit seals. So, for those seals who don’t re-haul, their daily routine of rest and digestion may have been significantly disrupted and for those that do re-haul, their energy budgets may be considerably compromised. 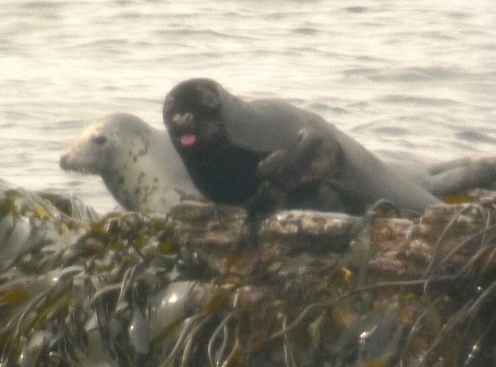 But…not all seals are equally affected. 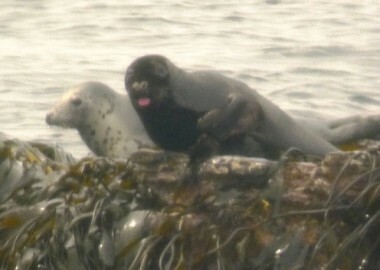 Some seals appear to almost refuse to leave their haul out spots and on 27th June, one of these seals was adult female Crosscomb. Recently identified in the sea off the Rumps, Crosssomb has returned to the offshore haul outs for the summer as per her usual routine. As a pregnant adult female, her energy is critical and cannot be wasted, as she must provide sustenance for both herself and her pup. She must get very fat and as fit as possible as once her pup is born, Crosscomb is likely to lose a third of her body weight in just three weeks whilst feeding her pup. An underweight mum is unlikely to to successfully wean her pup and even if she does, an underweight, weaned pup is highly unlikely to survive its first year of life. So, cumulative flushing into the sea for a pregnant adult female can have catastrophic effects for both the mum and her unborn pup over the following months. Matriarch Crosscomb remains hauled on her favourite spot (left) : Dark male, DP443, re-hauled after being flushed into the sea (right). 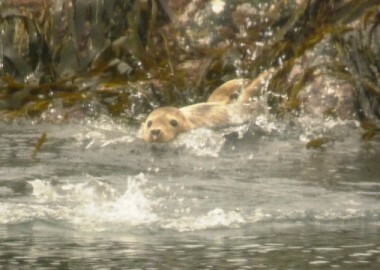 For younger juvenile seals, particularly those in their first year of life, energy levels are also critical. With limited blubber layers of stored energy, these seals are only just beginning to teach themselves to feed efficiently, so they cannot afford to waste any energy either and repeatedly entering the sea and hauling out does just this. Seals of all ages can gash their bellies when rushing over sharp rocks, rip out claws that get stuck between boulders and even racing across metres of sandy beach can result in a painful ‘road rash’ bleeding graze. On a normal day seals will haul out at high tide and not return to the sea until the rising tide floats them off, so it doesn’t really matter why seals flush into the sea, the less they do so, the better and they are then able to rest and digest for the optimum and ideal amount of time. Obviously it is up to us to avoid flushing seals into the sea wherever and whenever we can, either by avoiding worrying them or by not arousing their curiosity! We should aim to arrive and leave with minimal impact on any seals we see. staying a respectful distance from seals hauled along our coast to ensure the seals remain relaxed, resting and sleepy on the shore. 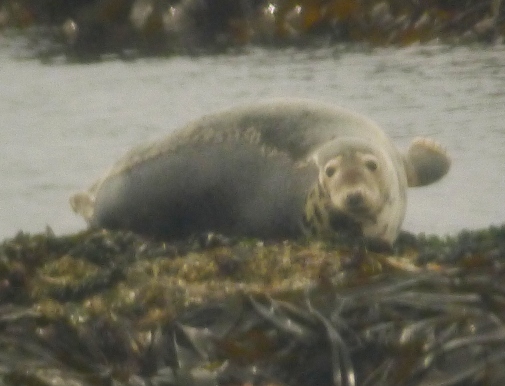 You may get a slightly less clear sight or slightly less ‘up close’ encounters, but you can take comfort and credit from knowing that you have done the best for the seals in our patch and on our watch. After all, their long term survival rests on our hands! Signs that you have been spotted! 3 Seals entering the sea in a rush have been disturbed, had stress hormone releases, potentially injured themselves and had their rest and routine interrupted by the cold shock of a rapid water entry. Please follow the Cornwall Marine and Coastal Code at all times. Download the leaflet cmacc-leaflet-low-res or poster one-page-content-for-website-poster-handout-v2 . For more information please visit the Cornwall Wildlife Trust’s website by clicking here. Thank you for helping our seals get the precious rest they need! Cornwall Seal Group Research Trust are extremely grateful to all their supporters who volunteer hundreds of hours of their time to photo ID and watch over the seals around the Cornish coast, especially at pup time! 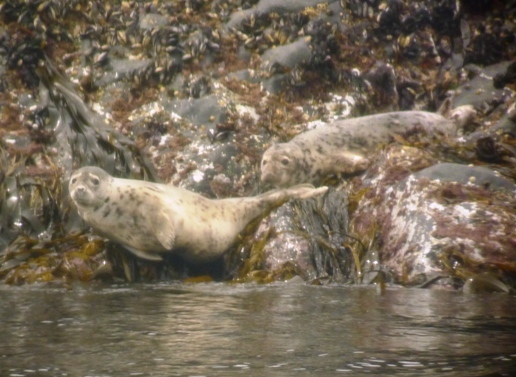 If you would like to support the work of Cornwall Seal Group Research Trust by helping to fund surveys such as this, you can email [email protected] to arrange to send a cheque or a contribution via your bank.